of academic research on the scientific areas of «History», «Philosophy», «Economics». The editors support interdisciplinary research by publishing their results. graduate and doctoral students, local historians, as well as a wide circle of readers interested in various topics in the field of modern humanities and socio-economic sciences. and economic sciences today. 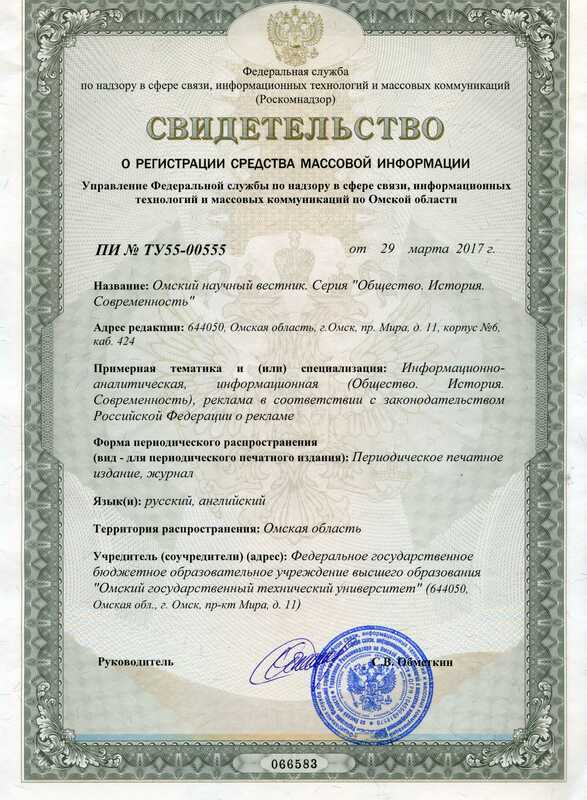 Special attention is paid by the editors of the journal to the processes of historical and socio-economic development of Omsk Irtysh Land. for possible publication. Both Russian and foreign researchers are invited to cooperate.